If you are looking for a Puerto Banus beachfront property the choice tends to be slim. There are absolutely no new build properties along the beaches that run either side of the Port. There are not going to be either, because there simply isn’t any land to build on. If you are looking for a Puerto Banus Beach front property, however, I am happy to be able to bring you some breaking news. I have been contacted by a property investment firm that has secured an entire development right on the beach – and I mean right on the beach. The properties are already built, so there will be no buying off plan with all the hassle and uncertainty that this entails. When I say these are beachfront, they are literally on the beach. It is the first development after the port on the Marbella walkway. 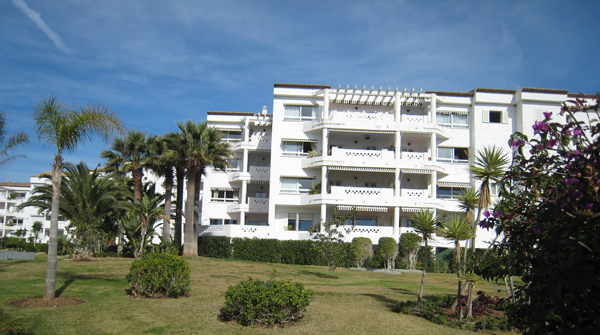 The development is literally 10 metres from the beach – and a very nice stretch of beach it is as well. 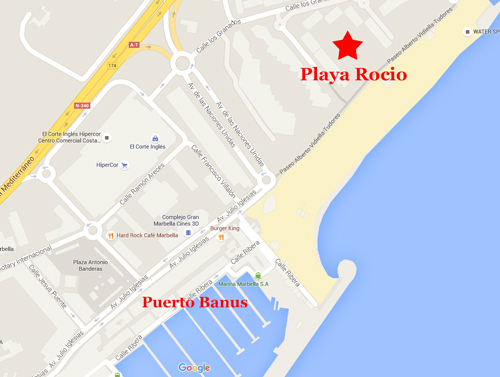 Added to this is the accessibility of the exclusive Puerto Banus Port and its famed strip. The end of the Port is just 100 yards away. It simply couldn’t be any closer to some of the most prime real estate in Europe, if not the world. We are not expecting these units to stay on the market for very long – so if you are interested in further information please do get in touch right away. This information is so hot off the press I don’t even have price information on the units just yet. The entire development is currently being refurbished. It is expected that it will be fully functional for summer season 2016. So if a Puerto Banus beachfront property is something for which you are looking drop me a line on info@diarmaidcondon.com and I’ll send you on full information on the product as soon as I have access to it. Update: Prices for these fantastically positioned units have been released. They start from €295k. for a ground floor 1 bedroom apartment measuring 60 sq. m. in size. 100 sq. m. two bed units are available from €370k. with three bed units available from €395k.